Lowe's Companies Inc. is an American home improvement and appliance company that has become one of the most recognizable home improvement retail chains throughout the United States. In 2002, Lowe's planned to open a new store on the south side of Lansing, and needed a commercial roofing company that could construct a new roof for the 150,000 square foot facility. Because of Bloom Roofing's experience working with similar facilities and the company's extensive track record of successful commercial roof construction jobs, Bloom was selected to install a new roof for the retail outlet. Working closely with the other companies involved in the building construction, Bloom's expert technicians worked diligently to install an Mechanically Attached EPDM roofing system on the building's newly constructed metal deck. Working on such a big construction site, Bloom's team prioritized on the safety of all parties involved in the building's construction, and adhered to a strict schedule to ensure that the roof construction would not interfere with other parties involved in the project. Bloom's team worked closely with Lowe's project managers to ensure that the roof construction met the design specifications, budget, and timeline of the project. Completing the project on schedule, Bloom's construction team installed a cost-effective 150,000 square foot EPDM roofing system that provided maximum protection and efficiency for the new Lowe's retail facility. Looking for expert commercial roofing in Lansing? 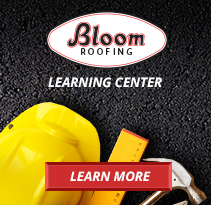 Contact Bloom Roofing today for a commercial roofing contractor you can trust.